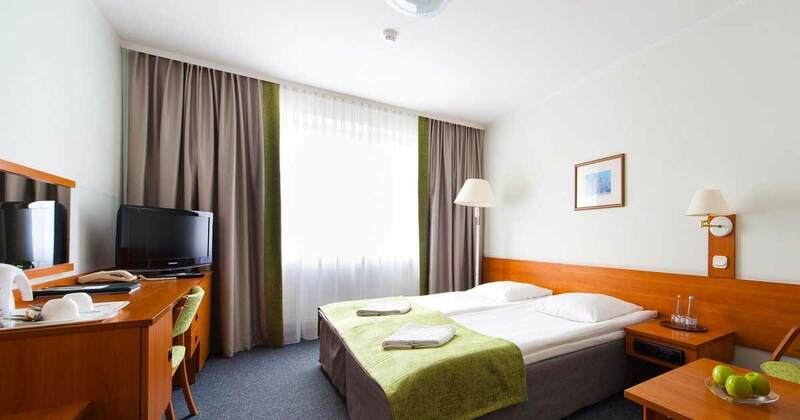 Our hotel offers 10 comfortable double rooms with a large double bed of the size of 140/180x200cm. The rooms are spacious and stylish. They are equipped with bathroom with shower, telephone, satellite TV and WiFi. Each room also includes a tea and coffee set and free bottled water.